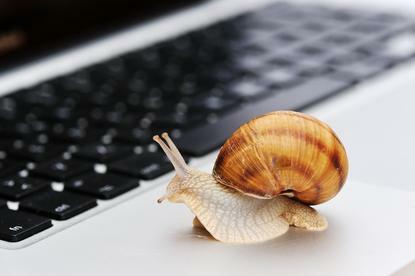 Australia continues to lose ground in the global broadband connection speed race, dropping yet another place from 50 to 51 in three months according to the latest State of the Internet Connectivity Report from content delivery network provider, Akamai. In one year, the country has slipped three places from 48 to 51, despite the biggest increase in connections from the rollout of the National Broadband Network (NBN). However, Australian mobile providers have upped their game considerably in the same period, with the country leading mobile connection speeds in the Asia Pacific region. The average connectivity speeds for Aussie mobile users stand at 13.8 Mbps, up from 12.8 in the previous quarter. The network improvements made by the likes of Optus, Telstra and Vodafone have contributed to the country's leadership in the region. Optus recently launched its first 4.5G precinct in Sydney’s Macquarie Park. The country has room to grow in this respect after the Australian Government opened the door for local telcos to begin the process to bid for the country’s unallocated 700 MHz mobile spectrum bandwidth licences in January this year. While Australia still lags globally and regionally in fixed broadband speeds, the country did see a 0.5 Mbps increase in the last three months of 2016, with average speeds crossing the 10 Mbps threshold for the first time, hitting 10.1 Mbps. “The trend in Australia’s ranking might seem negative, but we tend to forget that we are building an Internet network across an entire continent,” the company said. The key point of the report, according to Akamai, is how good Australia’s mobile connectivity is, well ahead of the USA, leading Asia Pacific and even surpassing Japan. “It is essential for the future of connectivity to have a solid mobile network, as people are increasingly consuming more high-quality content like video on mobile devices,”the company added. “When Akamai first published the report in 2008, we defined ‘high broadband’ as 5 Mbps and above, which nine years ago had an adoption rate of 16 per cent globally. “We’re now seeing a 15 Mbps adoption rate of 25 per cent worldwide. The upward trends are encouraging as businesses create and deliver even richer experiences for bigger audiences across the Internet, but accentuate the need for organisations to optimise those experiences for the myriad connected devices their customers are using,” he said. Following the publication of the report, the company responsible for building Australia's National Broadband Network, nbn, released a statement in response. "It is important to clarify that average speeds delivered and measured by Akamai are limited by consumers’ purchasing behaviour and retailer network dimensioning," nbn co said. "Today, eighty per cent of premises in Australia are ordering an nbn speed tier of 25 Megabits per second or less. We expect this to increase over time as both consumer demand and applications requiring faster broadband grow." This article was updated at 2:38 pm to include comment from nbn co.